After organizing the Atari VCS crowdfunding campaign to collect money and creating the hype for the upcoming Atari VCS console, the console has received a major update in the hardware. As compared to the previously announced 4GB RAM which somewhat made it look like any other console out there, Atari VCS project’s System Architect Rob Wyatt announced that the console will now ship with 8GB of DDR4 RAM. In a Q&A blog post on Medium, Rob who is also one of the leading men behind the original Xbox System, announced the memory boost along with some other insights of the console. As the company is reaching closer to the development process, the new announcement has further boosted the hopes of gaming enthusiasts. In the blog post, Rob said, “The VCS hardware will be powered by an AMD Bristol Ridge family APU with Radeon R7 graphics and is now going to get 8 gigabytes of unified memory.” Also, 25% of hardware resources will not be reserved for system use like other consoles. Rob explains the reasons to choose AMD Bristol Ridge over Ryzen by saying that the Bristol tops when cost and thermals are considered. He also added that the Ryzen operates in a thermally limited environment whereas Bristol Ridge APU delivers better speed when thermals are maximized. Speaking of controllers, Atari Classic Joystick and the Atari Modern Controller are the standard input devices. Additionally, AtariOS, the custom Linux-based OS, will have a standardized controller support with a built-in controller remapping tool which will allow users to remap physical controller buttons to logical standardized buttons. This separation of AtariOS and OtherOS will result in denied access to Atari services when the OtherOS is running. 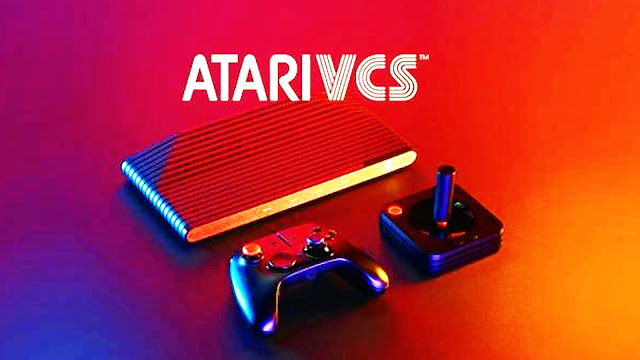 It is expected that the Atari VCS will be ready to ship by July 2019.